SANTA'S HERO NAUGHTY & NICE BOOK. 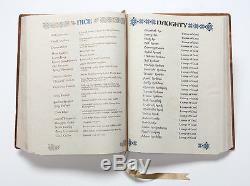 This is the hero screen-used book used in both Santa's workshop (seen when Buddy is told his father is on the Naughty list) as well as the entire Central Park sequence at the end of the film. This book is a key prop as it's responsible for showing the world Santa is real, which helps his sleigh fly at the end of the film. Every page is beautifully filled with the naughty and nice lists. A human baby raised as an elf. A city where no one remembers the true meaning of Christmas. 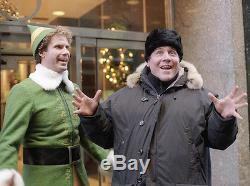 Will Ferrell stars as Buddy, a human raised in the North Pole to be an elf. After wreaking havoc in the elf community due to his size, Buddy heads to New York City to find his place in the world, and track down his father. But life in the big city is not all sugarplums and candy canes. His father is a "Scrooge" and his eight-year-old stepbrother doesn't believe in Santa. Even the snowmen aren't friendly in New York. In fact, they don't even speak. Worst of all, everyone has forgotten the true meaning of Christmas, and it's up to Buddy and his simple elf ways to win over his family, realize his destiny and, ultimately, save Christmas for New York and the world. Elf stars: Will Ferrell, James Caan. PLEASE CONTACT ME DIRECTLY IF YOU ARE INTERESTED IN A LOAN OF THESE ITEMS FOR YOUR MUSEUM. 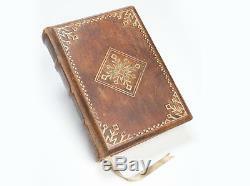 The item "ELF hero SANTA screen used movie naughty & nice book. Will Ferrell Ed Asner" is in sale since Thursday, October 12, 2017.